Home » google » How Google+ Can Help You Generate More Sales? Higher website traffic means more potential business leads and Social Media stands to be an abundant source for the same. 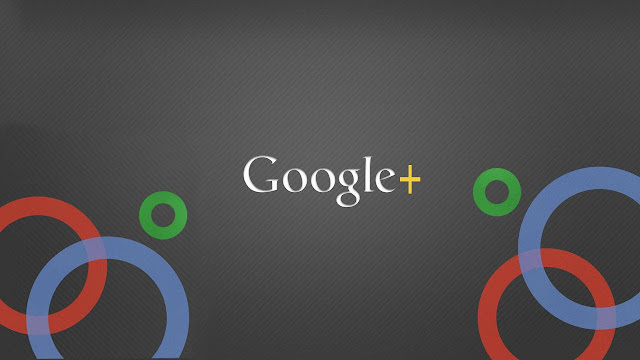 A newer network on the block of Social Media is Google+ which has so much to offer. The below listed five ways let you use Google + as a handy tool which aids in the generation of power pack leads. The “like” button in Google is “+1” which helps you count the number of people who actually liked or enjoyed the content you have put up. The”+1″or “like” button can be everywhere-right from Google search section to your profile in Google+ or even in your ads at AdWords. The moment you link your ads on AdWords to your page on Google+ most of your group including your clients, family and friends can press on the “+1” button and support your ad. This in turn lets you spread your social presence as well as develop your relevance. In order to begin you need to first of all link your website with the Google+ page and clear the verifying part for your page. You can see a check mark next to the link following the successful website verification. After this you can go on and link your website with your page on Google+. This can be done by including the Google+ badge into your website. Once the linking is complete for these pages you can extend your social network with Adwords Ads. Any “+1’s ” will allow others to see who has liked the page and then establish a link to the advertised landing pages. This entire process will in turn increase your exposure and visibility by manifolds. Language used should be the same as in the post for more personal touch. Adding signatures is also a possible feature in Google+ like the emails. More likes and shares can be grabbed by making a mention of other users and adding the +1 tag to their posts. This way you will also appear in their search results along with their name. The more you share, the better opportunity you get for linking and hence improving your exposure levels for the right lot of visitors. Images are a must experiment opportunity on Google+ for linking them to your website. Images also improve the attractiveness of your Google+ page. Circles are a very common feature of Google+. With this you can place various clients within different circles for a more specific approach towards marketing content in each circle. Placing new contacts within a circle is really easy or you can even ask the contacts for their preference. With this you can make a segment of content as per the target circles. Notify feature can be used for sending out emails. The only thing that you need to make sure of is that the content should be downright excellent and interesting without losing its relevance otherwise people might just take your mail as a spam. They might just mute out your posts or block you which is something that you wouldn’t want. A tab of +1 or the Google+ Badge that is linked to your website will prove to be a great source for adding more traffic and thus more prospects for your page. The “+1” button is there in every blog post at the bottom while the badge is present in the side bar.These two assets make it possible for people to share their pages or profiles adding to their visibility and hence gain better ranks across search engines. In comparison to any other network, the Google+ Events feature is highly advanced because it is linked to Google+ Hangout, Google calendar and also Google Search results. With this your followers can actually spread a word about their presence at one of your events in a way that is completely amazing. The integration of Google Calendar with this feature sends out a notification to their calendar the moment they sign up for any of your event. A reminder mode is set so as to send a reminder email well in time. Both Google Hangout and Google Events function together as a video tool wherein followers can get together and can see you too. With this you can be sure that Google+ is a tool that lets you interact well and generate more potential leads online. Should I Comment with My Personal Profile or My Business Page? This is a very difficult question and there is no exact answer at this point. One thing is for certain, any type of engaging conversation is good for a Google+ business page or personal profile page. Don’t talk to yourself via your business page and personal profile. If you are the only account carrying on a conversation with yourself this will look very strange to Google. If you have the personal page of John Black and the business profile of Black Publishing you will not want these profiles answering each other’s questions. I know this seems like common sense but I have seen many people doing this to rank higher in the search. You may initially rank higher but will end up shooting yourself in the foot in the long run. There is no argument to be made that search rankings can be “gamed” in the short term but this is not a business model I would ever suggest. What is Something I Can Do to Help My Business Page Tonight? Besides engaging in great conversation I think it is imperative to create a very strong About page on both your business profile and personal profile. It has been proven time and again that keywords in an About section help a profile rank higher. Once again, do not spam! There have been several Google+ accounts that have tried to spam their About section and Google has caught on to this quickly. These profiles are not deleted but they definitely see a hit in the search. This is a very effective way to reach out to customers. Lets say your pizza shop had a special event for Memorial Day. You posted 25 pictures and got plenty of engaging comments. There is no reason to miss the opportunity to promote your special event in your profile. You may also want to think about promoting it on your personal website as well. Rahul Makhija is the online manager for PartWashers. Rahul consults companies on online marketing, product development, and strategy. During his free time he enjoys reading about human behavior.